JERSEY CITY, N.J., April 9, 2019 /PRNewswire/ -- ThreatModeler Software Inc., the industry's #1 automated threat modeling platform announced today the U.S. Patent and Trademark Office issued the company's first patent for "Threat Model Chaining and Attack Simulation Systems and Methods" (U.S. Patent No. 10,200,399) This patent is the continuation of U.S. patent application Ser. No. 15/888,021 titled "Threat Modeling Systems and Related Methods Including Compensating Controls," naming first inventor and ThreatModeler CEO Archie Agarwal. The awarded patent establishes ThreatModeler's continued leadership in threat modeling. This revolutionary method enables chaining several threat models to provide a layered approach, allowing security teams to build threat models while granting other teams to link their own. Threat Model Chaining is particularly valuable in enterprise threat modeling as it facilitates collaboration. This patent will provide senior executives an understanding of the downstream impact of their shared system. Threat Model Chaining provides organizations with full visibility of their attack surface while generating an effective mitigation strategy. Accordingly, if a threat is impacting a specific threat model, enterprises will see all threat models linked to that specific one. Understand all of the interconnections between the various components, systems and infrastructure. Visualize the downstream impact of the failure of single elements in chained threat models. Scale applications with hundreds or thousands of connections to visualize the overall IT ecosystem. "We look at threat modeling not as a way to shift left in security, but as a mean to have a detailed understanding of the entire attack surface which includes applications, network and cloud infrastructures. We help our customers build an enterprise threat modeling system, not just an individual threat model for an application in isolation. No application works in a silo, and they should be threat modeled as such," said Archie Agarwal, CEO and founder of ThreatModeler Software Inc. "This patent is another in a series of innovations we have brought to the threat modeling industry to scale threat modeling practices and understand how threats impact the overall IT ecosystem." U.S. patent was awarded for ThreatModeler in: Threat Model Chaining and Attack Simulation Systems and Methods (US Patent # 10,200,399 B2). Date of Patent: Feb 5th, 2019. ThreatModeler™ is an innovative enterprise threat modeling platform that helps organizations fully integrate security into their SDLC and reduce their overall risk posture. Our unique methodology automatically integrates security within existing agile and DevOps workflows. By identifying and mitigating potential security threats early in the SDLC – prior to implementing SAST and DAST, ThreatModeler™ simplifies efforts associated with developing secure applications. ThreatModeler™ empowers enterprise IT organizations to map their unique secure requirements and policies directly into their enterprise cyber ecosystem – providing real-time situational awareness about their current threat portfolio and risk conditions. 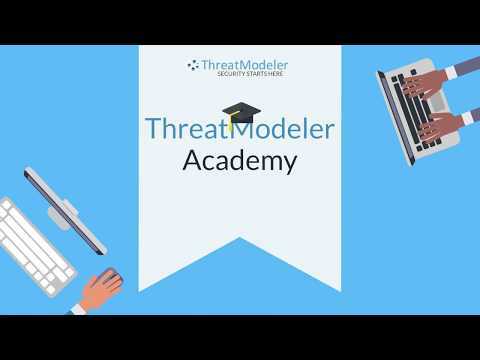 For more information, visit www.threatmodeler.com.